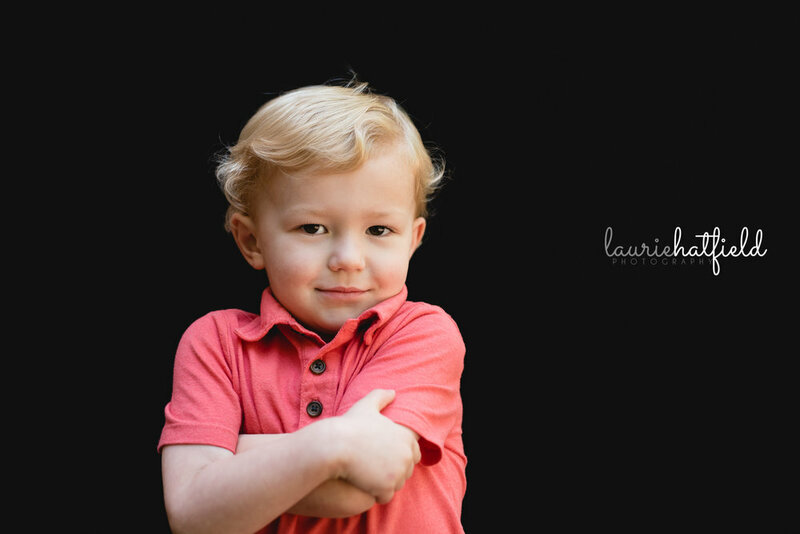 As a Mobile, AL school photographer, I get to see LOTS and LOTS of sweet faces that all have different personalities! 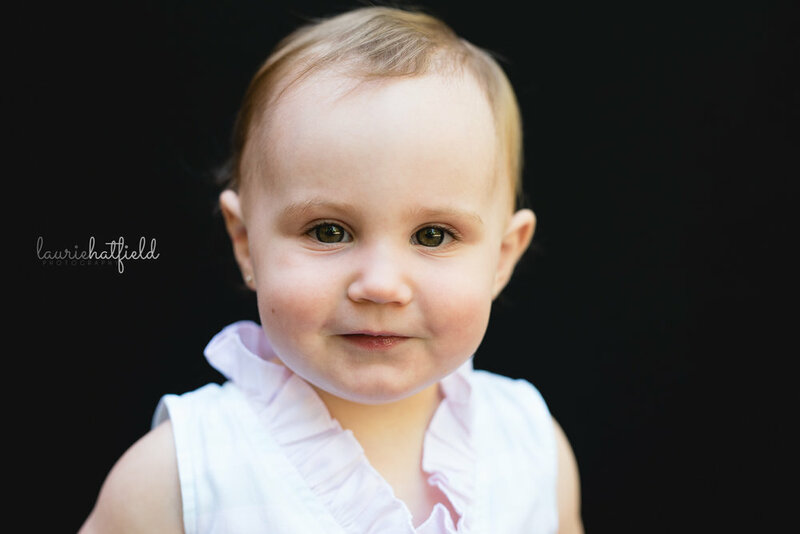 Today let's talk about how I modify my approach from family sessions to these quicker school portrait sessions. In a family photo session, I have a little more time to be patient for kids to warm up. To begin with, I NEVER remove a child out of their parent's arms during a family session if they aren't ready. Some of my most favorite shots from a family session are always a parent holding their child. I know those days a kid fitting in your arms don't last forever, and I don't force what isn't comfortable for the child. Almost without fail, the child gets more and more comfortable (and is having enough fun!) to be ready for some individual portraits later on. So when I am photographing at a preschool and mom and dad aren't there, I actually keep this in mind. What helps a child feel comfortable? Without exception, it's connection. Now sometimes that connection can happen with ME. I work hard to quickly evaluate a child in front of me. School photos obviously don't give me as much time with a child as a full session, so I have to quickly ascertain a temperament. Some kids are open right from the start and willing to respond to my silliness. So I ask silly questions, make silly noises, ask them to do silly things. And we all laugh at my comedic skills. Ha! And then other kids are naturally more quiet and slower to warm up. Loud and bold silliness isn't the best "in" with them. This is perfectly fine because guess what? So I am super empathetic to the quieter kids. We can talk softly about silly stuff instead. I can ask about things they love and wait for their face to light up. And if you're the PARENT of the quieter kid, you know the face of their quiet side. And you love it just as much as the big grins. Next time, we'll talk about other ways I use connection during these school portraits in ways other than with me. Here are some photos of the kiddos at a local preschool I did portraits for this year. Some were quick to warm up, some were slower, but all were just perfect. If you'd like to see these boutique school portraits at your child's school, head here for more info! I WANT THESE AT MY KID'S SCHOOL!